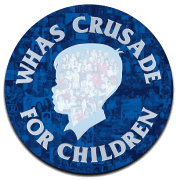 The WHAS Crusade for Children raises money for agencies, schools and hospitals to make life better for children with special needs across Kentucky and Indiana. Since 1954, the Crusade has raised more than $184 million to support agencies, schools and hospitals that serve children with medical, physical, mental and emotional needs. Thanks to generous contributions of goods and services, the Crusade is able to return 100 percent of all donations to organizations in all 120 Kentucky counties and more than 50 southern Indiana counties. Fire departments raise more than 50 percent of the money each year by staging road blocks and other events. Would you recommend WHAS CRUSADE FOR CHILDREN INC? i just want to be able to help in any way that i can.